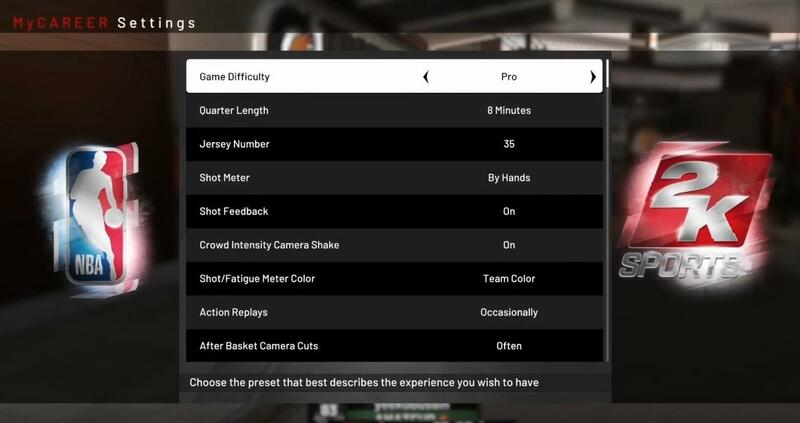 NBA 2K19 Guide: How to Change Quarter Length in MyCareer? NBA 2K19 MyCareer is one of the most popular mode for most players because of its storytelling, which is about an arrogant athlete who needs to learn some humility. Some newbies don’t know how to change quarter length in NBA 2K19 MyCareer? Here Gamepretty will bring the method below. When you are first to my career, you need finish the prelude, you can not change quarter length in the prelude, after the prelude you can access the Neighborhood and change it in setting. You can also change the difficulty level in the setting, Hope this guide will help you solve your problem.